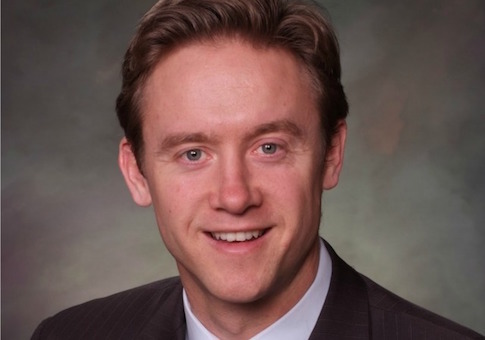 Former Colorado state senator Mike Johnston has announced a campaign for U.S. Senate to challenge Republican incumbent Cory Gardner. Johnston, whose state senate district represented Denver, ran for governor last year, but like other candidates, could not overcome the massive self-funded campaign of fellow Democrat Jared Polis. During the run, however, Johnston's campaign was kept afloat in large part thanks to seven-figure donations to an outside PAC by former New York City mayor Michael Bloomberg. The affinity between Bloomberg and Johnston appears to be mainly linked to gun control. Bloomberg has a history of involving himself in Colorado politics, especially where that issue is concerned. In 2013, Johnston was a member of the Democratically controlled legislature that passed new gun control laws initiated in the wake of the Aurora Theater massacre. Democrats in the state are buoyed about their chances to defeat Gardner in 2020 after the 2018 elections delivered all levers of government to them, and also saw them pick up other unexpected statewide wins. During the 2018 gubernatorial campaign, Johnston was one of the candidates to decry Polis' massive self-funding. Polis was able to eventually seal the Democratic nomination, and then went on to win in the general election. The early announcement by Johnston is most likely an effort to push other possible Democrats to the side, and to capitalize on early fundraising. Other Democrats already in the field don't enjoy the name recognition that Johnston has, much of that due to the gubernatorial run. Still looming in the Senate race is whether former Colorado governor John Hickenlooper will enter. While Hickenlooper is presently still exploring a presidential run, news reports revealed that he recently shared a phone call with Senate Minority leader Chuck Schumer, and Hickenlooper also would not rule out a Senate run. Given that Hickenlooper was elected twice to the highest statewide office, few doubt he would create a formidable challenge to the Republican from Yuma, in Colorado's Eastern Plains. He would also have a natural fundraising base that could be easily tapped again. Hickenlooper left the governor's office this month because of term limits. Gardner defeated incumbent Democrat Mark Udall in 2014, in a campaign that focused extensively on Udall's support for the Affordable Care Act. Beyond the ACA, Udall was also criticized after the loss for running a campaign focused so exclusively on reproductive rights. Gardner ran the campaign in the 2018 cycle for the National Republican Senatorial Committee, which saw Republicans make gains in their majority. This entry was posted in Politics and tagged 2020 Election, Cory Gardner. Bookmark the permalink.